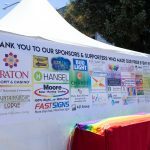 Santa Rosa GayDar presents 2019 Sonoma County Pride Weekend‘s Official After-Party. Following the festival, recharge for a night you won’t forget. Grab a power nap, refuel and make that wardrobe change to make your appearance at the hottest party in town. The capacity crowd at 2018’s event partied until last call and tongues were wagging about the drag show long after. 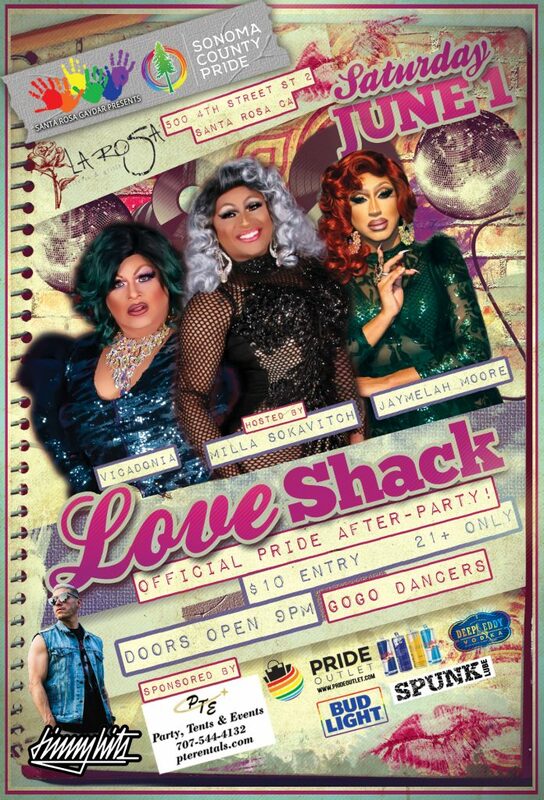 Our Love Shack after-party puts the crowning touch on Sonoma County’s Pride’s festival with an up-beat drag show featuring local drag performers and hosted by Milla Sokavitch. Dance to the high-energy beats of DJ Jimmy Hits Esquivel and check out the Pride GoGo dancers! Party like a rockstar as we convert The Lounge at La Rosa into Santa Rosa’s Premier Gay Night Club!